Lucasfilm the company behind Star Wars has always had a refreshing attitude to fan-made content. Unlike many other media companies, they actually encourage their more creative fans to produce films and other art based on the universe that they love. So far this policy seems to have held up since the company was bought by Disney too. 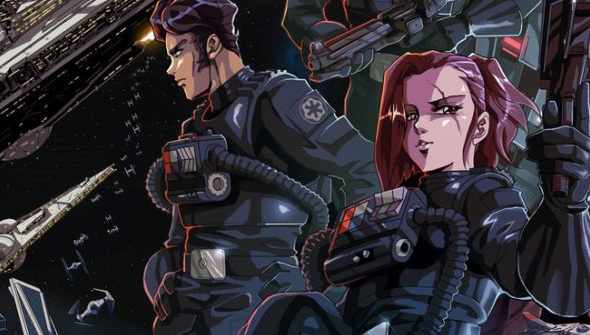 The latest Star Wars fan-flick doing the round is a fantastic animation from filmmaker Paul Johnson. Produced by Johnson over "four year's worth of weekends", it's a labour of love- and an astonishing achievement to boot. In a neat twist, it's made from the point-of-view not of the Rebel Alliance, but the evil Empire (who everyone knows are way cooler anyway). Stylistically Johnson has taken his cues from 80's sci-fi anime- and done a bang-up job of it. It deceptively tricky to capture the anime aesthetic and have it feel authentic- and many talented western animators have fallen short. Here it's pulled off brilliantly- and not just any anime, but it particularly captures the feel of the 80s variety. 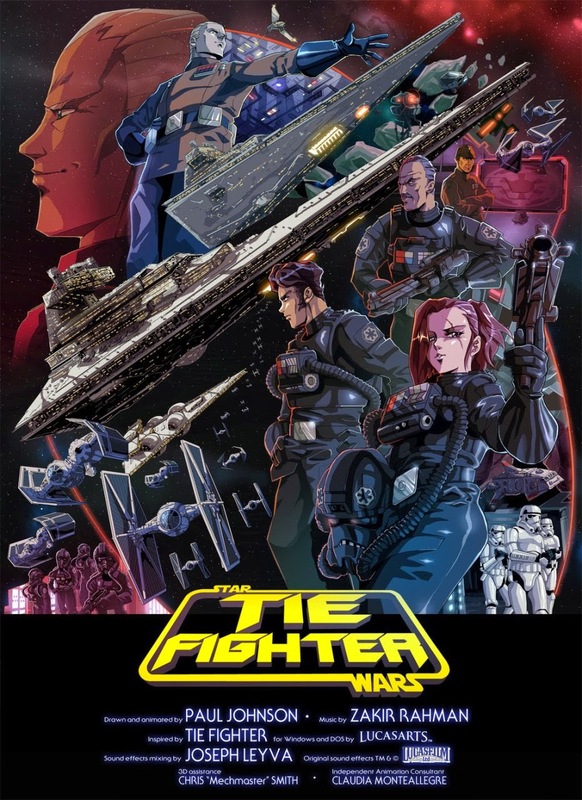 It's sure to give fans of retro anime flashbacks to Robotech/Macross or Space Battleship Yamato (aka Starblazers). Johnson also produced some pretty extensive project materials detailing the character's backgrounds, and made it available to download alongside the official poster art and soundtrack.